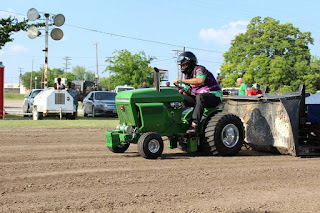 The Lone Star Garden Tractor Pullers Association teams rolled into Bonham, Texas for a double-header weekend, with performances on both Friday and Saturday nights. Teams from across the state and beyond, would gather along the banks of Powder Creek, alongside the historic Bonham Depot, for two rounds of exciting LSGTPA tractor pulling on a 200 foot track. 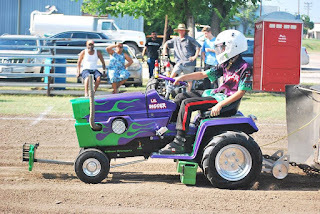 The entertaining Youth Class competitors would start the show, with Tatom Robinson wheeling his 'Lil Digger' machine to the top spot. 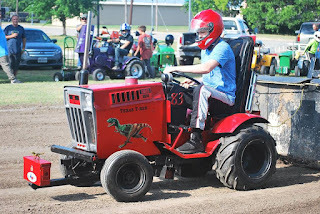 Lane Duncan would pilot his 'Texas T-Rex' machine into the runner spot, with Rinn Mayberry posting a third place finish. 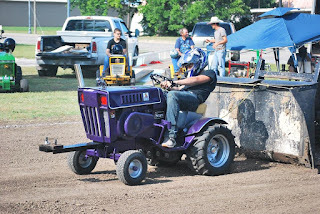 Caden Wilbur would guide his 'Purple Knight' tractor to a fourth place position, with Lane Duncan wheeling his 'Twisted Kitty' tractor to a top five finish. 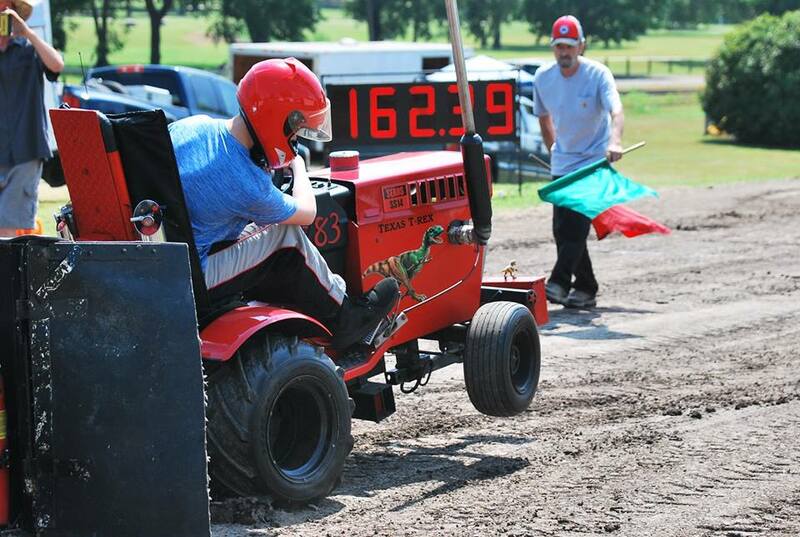 Jared Stephan would score a sixth place finish, aboard his 'Iron Head' tractor. Seth Wilbur would post a seventh place finish, in the tough Youth Class field during the Friday night action. OEM Stock Class would see Kody Langham posting the win for the Longhorn Express Pulling Team, over the runnerup finish of Claude Lewis aboard his 'Old Yeller' tractor. 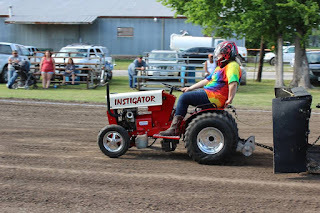 Hot Stock action would finish with Madison Pellerin taking the victory aboard her 'Instigator' tractor. 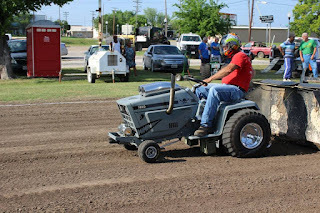 John Aufdenkamp would post the runnerup finish, with his 'Rusteze' machine. Stock Diesel Class action would feature some close competition, with Jeff Robinson taking the win aboard his newly acquired machine. Patrick Bramlett would score the runnerup, aboard his 'Warthog' tractor. Ken Langham would post a third place podium finish, aboard his Longhorn Express Pulling Team entry. 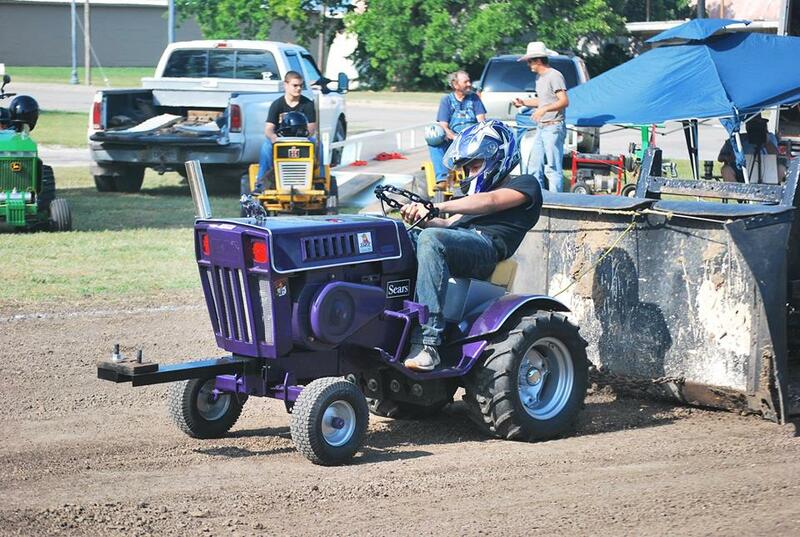 In Big Stock Class, John Aufdenkamp would lead the class, taking the win aboard his Outlaw Pulling Team tractor. 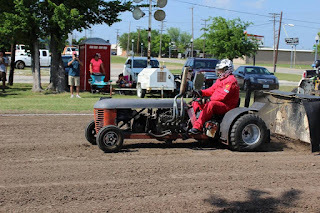 Jerry Toland would score the runnerup, aboard his 'Triple Deuce' machine, with Patrick Bramlett finishing third aboard his 'A Muck' tractor. 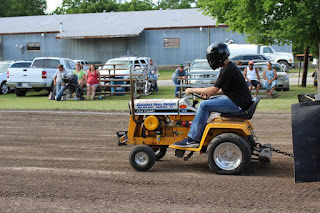 Mark Van Beber would take a fourth place finish on the night, with Kody Langham posting a top five finish for the Bonham Service Center sponsored team. In Stock Altered, Michael Mayberry would wheel his 'Pulling For Peanuts' tractor to the top spot. John Aufdenkamp would place his 'Under The Influence' machine in the runnerup position, with Mark Van Beber pulling to a third place finish. Ralph Lauffer would post a fourth place finish, aboard his Colorado based machine. Mark Van Beber would return in the Big Bike Class, to take the win for the Colorado based team. The Outlaw Class title would be taken by Mark Van Beber, with Ralph Lauffer taking the win in Super Stock Class competition, for their Colorado based pulling team. In Mini Rod Class competition, David Houchen would take the top spot aboard his 'Back In The Day' tractor. Colby Crowe would finish in the runnerup spot, aboard his 'Weekend Warrior' tractor. 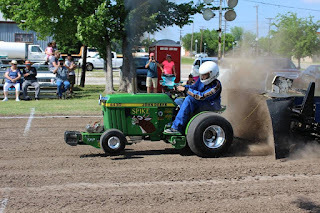 Jerry Toland and his 'Shinin Time' machine would score the third place podium position, with Sarah Crowe finishing in the top five with her '99% Moody' tractor. 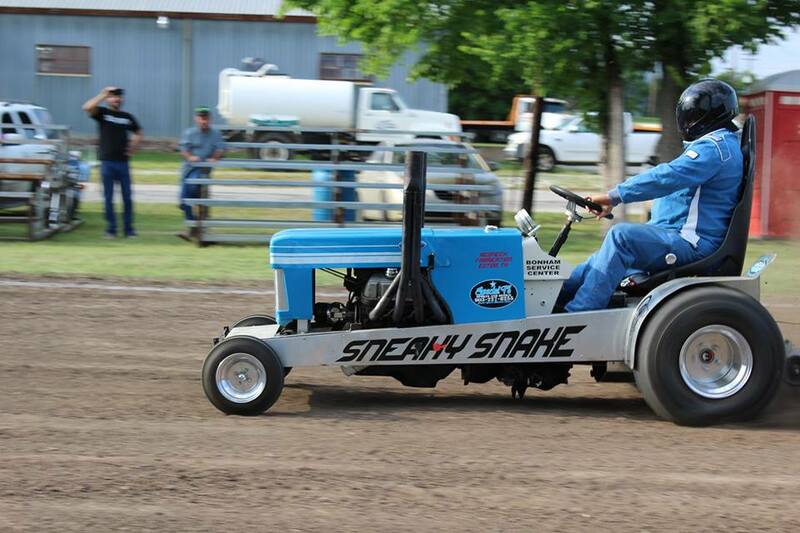 In a wild Super Rod Class performance, Ken Langham Jr. would take the victory aboard his 'Sneaky Snake' tractor. 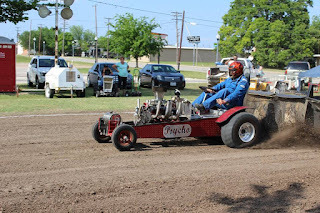 Randell Moody would score a runnerup finish aboard his 'Ridge Runner' machine, while Ken Langham Sr. would post a third place finish aboard his 'Psycho' tractor. The action would heat up on Saturday night, with the Youth Class again taking to the track to open the show. Tatom Robinson would double up with another victory in the class, with Jared Stephan rolling into the runnerup position. 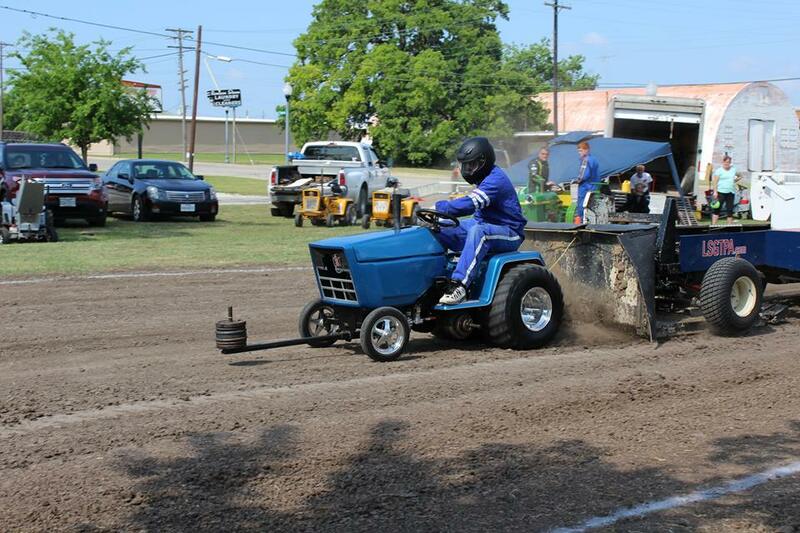 Lane Duncan would wheel his 'Twisted Kitty' tractor into the third place podium position. Rinn Mayberry would score a fourth place finish, with Lane Duncan posting a top five finish aboard his 'Texas T-Rex' tractor. 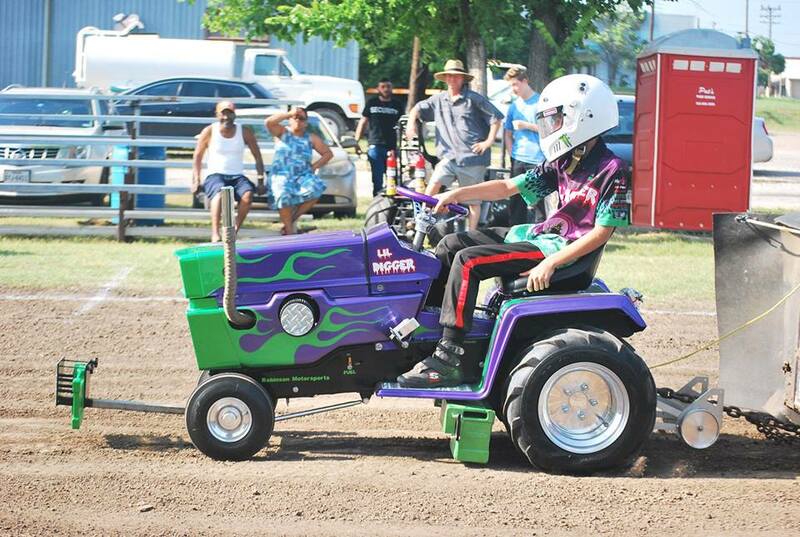 Caden Wilbur and Seth Wilbur would pilot their 'Purple Knight' tractor to the sixth and seventh place positions. OEM Stock Class would see a repeat of Friday night, with Kody Langham taking the win over Claude Lewis in a very close battle. 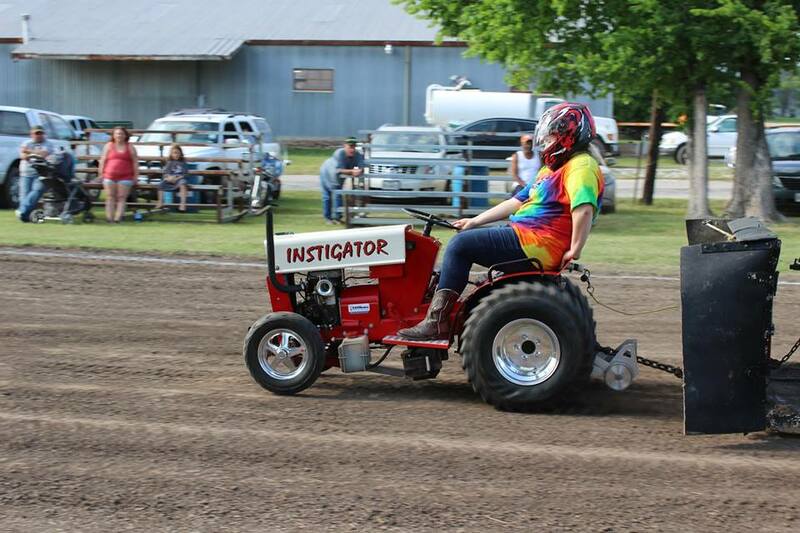 Madison Pellerin would also double up, taking the class title in the Hot Stock Class competition. 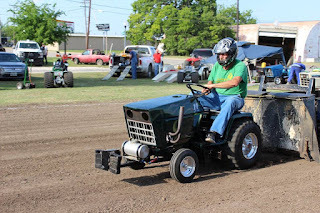 Stock Diesel Class would end with Jeff Robinson taking the top spot, while Patrick Bramlett would score the runnerup aboard his 'Warthog' machine. Ken Langham would post a top three finish for the Longhorn Express Pulling Team. 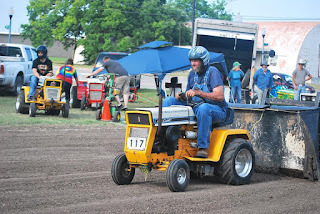 In Big Stock Class action, Jerry Toland would take his 'Triple Deuce' to the top spot, with Patrick Bramlett working his way to a runnerup finish aboard his 'A Muck' machine. 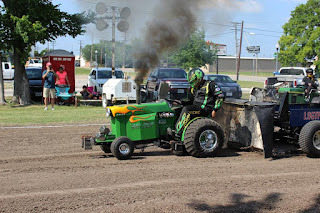 John Aufdenkamp would take third place for his Outlaw Pulling Team, with Kody Langham rolling to a fourth place finish for the Bonham Service Center team. 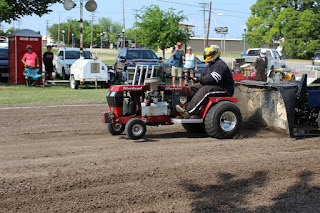 Stock Altered Class would finish with John Aufdenkamp in the top spot, aboard his alcohol burning 'Under The Influence' tractor. Michael Mayberry would finish in the runnerup spot, aboard his 'Pulling For Peanuts' machine. Ralph Lauffer would take a top three finish on the night, for his Colorado based team. 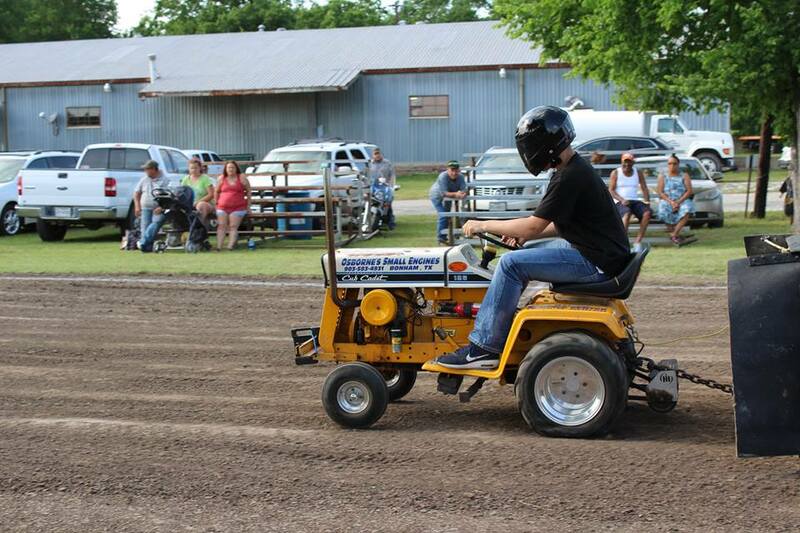 Lauffer would return to take the class title in the Super Stock Class. 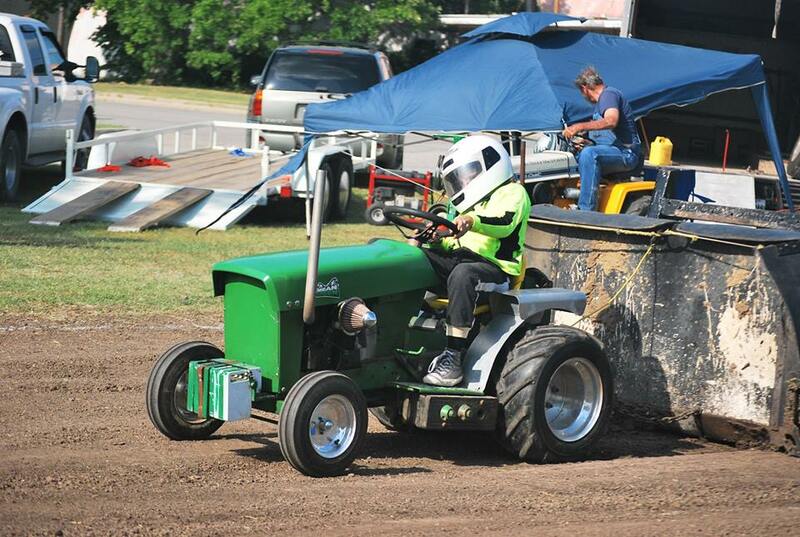 In Outlaw Class, Aidan Hovind would post the win for the Mean Green Pulling Team. 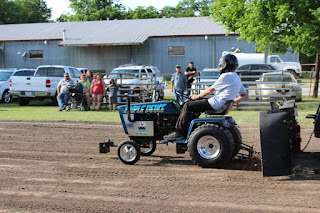 Mark Van Beber would finish in the runnerup position, with Steve Hovind posting a top three finish aboard his 'Bad Idea' tractor. 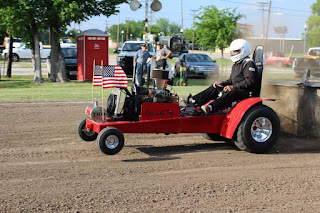 In Mini Rod Class, Colby Crowe would pilot his 'Weekend Warrior' machine to the victory, with Sarah Crowe scoring a runnerup finish aboard her '99% Moody' machine. 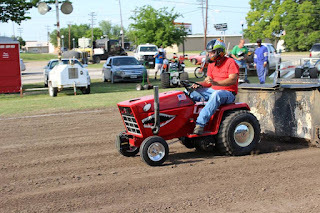 David Houchen would wheel his 'Back In The Day' tractor to a third place finish, with Jerry Toland wheeling his 'Shinin Time' tractor to a fourth place scoring. In Super Rod, Ken Langham Sr. would use a second round Full Pull to secure the class title, aboard his 'Psycho' tractor. Ken Langham Jr, would wheel his 'Sneaky Snake' into the runnerup spot, with Randell Moody taking third aboard his 'Ridge Runner' machine. The LSGTPA teams will prepare for the next event, to be contested in Lindsay, Texas on July 21st.